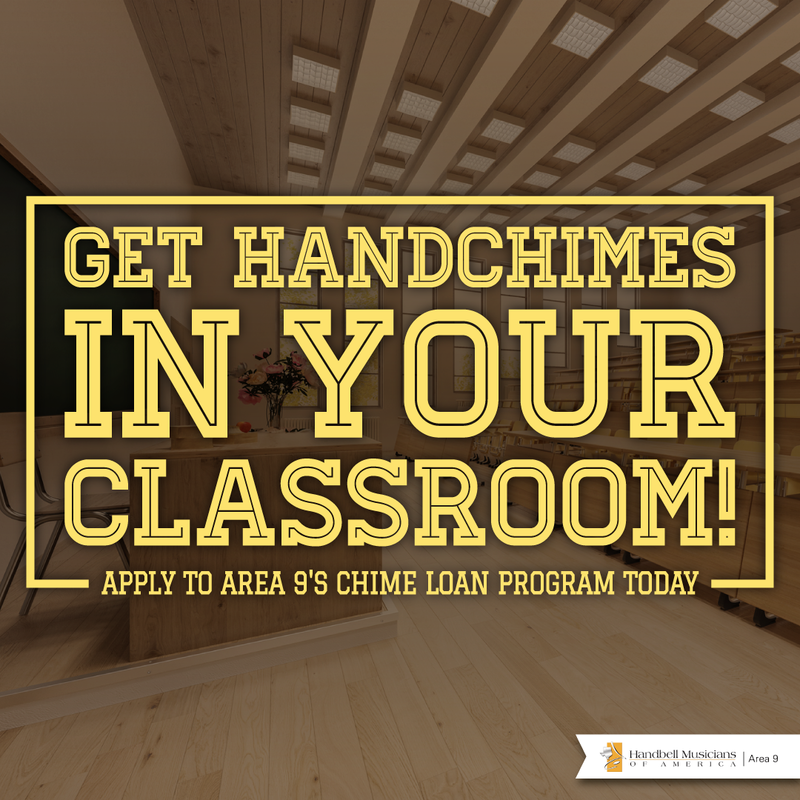 In this newsletter you will read about Area 9’s handchime loan program; this is a great program for all types of educational institutions –elementary school to universities! If you are an educator – or if you know one – consider the benefits of handchimes. Handheld chime instruments were developed originally as educational tools. All of the companies presently manufacturing handchimes tell us that their instrument was developed at the request of music educators who recognized the potential of the handbell choir but needed an instrument that was less expensive, required less equipment, and was easier for young hands to manipulate than a handbell. The handchime instrument fits all of these requirements! In addition to the regular music classroom, handchimes were welcomed by special education teachers who were able to use them with students with a wide variety of disabilities. Directors and music therapists who work with senior adults discovered that the chime instruments, which could be played from a seated position and whose lighter weight put less strain on wrists and arms than handbells, offered an opportunity for seniors to ring in a musical ensemble. The unique timbre of the handchime gives it its musical “claim to fame.” Because of the shape of the instrument (it is basically a large tuning fork) and the material of which it is made, its sound is purer than that of the handbell – there are fewer overtones present. The quality is mellower and less percussive. The handchime blends well with the human voice. 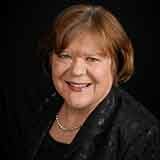 It is a “natural” for accompanying children’s voices. Elementary music specialists who prefer the sound of Orff instruments over the more percussive sound of the piano are embracing the sound of handchimes. As the handchime ensemble gained in popularity, directors of handbell choirs began to appreciate the unique qualities of the handchime instrument. More than just a “less expensive alternative to the handbell’ (to quote an early advertisement), handchimes are now recognized as a beautiful instrument in their own right. Like handbells, handchimes now can be purchased in up to seven octaves. As the instrument has grown in size and as the manufacturers have made changes, some of the earliest statements and techniques have been changed. For instance, an early advertisement for handchimes says that they are useful for the elementary school classroom because they are “virtually indestructible.” We have learned that, because the handchime is made out of aluminum, it is more prone to metal fatigue than the handbell. When rung loudly too much, the chime loses its pitch. THIS IS BIG –– handchimes should not be over rung. The ringing technique is like shaking hands. Practice the motion before holding the chime. It is even more important for chimes than for bells that the instrument keep moving after it is struck. Directors should direct in the manner in which they want the ringers to play – jerky, percussive gestures result in similar playing. Early handchime method books call the name plate the thumb rest and instruct the ringers to put their thumb on this while wrapping the remaining fingers around the shaft of the chime. This can damage the thumb. Again, use the shaking hands illustration. The hand should grasp the chime just under the name plate. Grasping the chime too far down the shaft makes the chime too long to handle comfortably. Early books and illustrations show the ringers pulling the clapper straight back to the shoulder; the chime should turn sideways to damp. Safety: The ringers should not handle the clapper at all. Be careful that the tines are not bent. Do not attempt to adjust the tone plug (it’s inside the shaft). Although they do not need as much foam as bells, a foam cover is advisable if the ringers are going to change chimes or put them down on the table. Adjustments: Each brand is a little different and each manufacturer has a downloadable maintenance manual on their website. Tools come with chimes and can be used for slight adjustments or easy fixes like squeaks. The handchime is not intended to execute the more percussive special techniques of the handbell. Martellatos and mallets will damage the instrument. You can perform a single stopped technique by firmly pressing a finger (or a thumb and a finger) into the “U” opening at its base, the vibrations can be cut down and a staccato sound is produced. Shakes and tower swings do not have the same aural effect on a handchime – and a shake that is done too loudly can cause damage. Mallets are not effective on a chime that is played on the table; however, a large soft mallet can be used on a suspended chime. The handchime has its own technique for vibrato. The ringer lightly touches the “U” opening at the base, then releases, and then continues alternating between touch and release. Use of the vibrato on a long note gives warmth and life to the sound. Increasing the vibrato helps to intensify a crescendo, while taking vibrato out adds to the effect of a diminuendo. The handbell echo technique can be approximated on a handchime by using the same basic motion as a vibrato, but using both the thumb and the index finger on opposite sides of the “U” opening and using slightly more pressure than for a vibrato. The number of pulsations required for an echo will be notated on the music, where the number of pulsations used for vibrato are up to the performer and are dictated by the style and place in the music. Some pieces that are written for handbells simply do not work for handchimes. Music that requires great agility, a percussive sound, or a large number of stopped techniques are best avoided. A large body of music exists that is suitable for handchimes — and more is being written every day. In some spaces, the chimes will carry better than the bells. Experiment in your space to see. You can use chimes to play the melody while bells accompany or vice–versa. If your space absorbs low sounds, consider doubling the bass bells with bass chimes. Because handchimes are a relatively new instrument, new possibilities for their use are being developed each year. It has been an interesting evolution to watch. Do you have an especially creative idea for the use of handchimes? Do you have questions or need suggestions for their use? Please contact me or any of your Area 9 board members – we would love to hear from you!